Romance of the Three Kingdoms 12 (known also as Sangokushi 12) is a strategy simulation video game developed by Koei Co., Ltd. and published by Koei Tecmo. 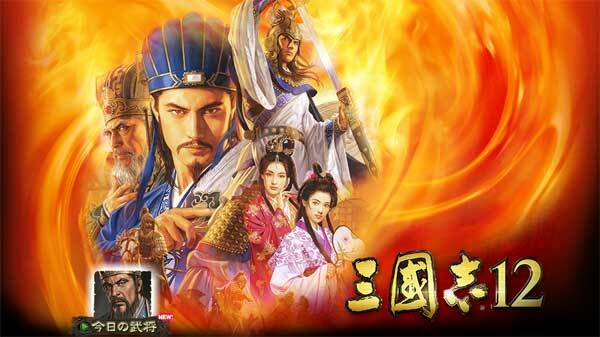 It is the 12th installment in the Romance of the Three Kingdoms (Sangokushi) game series. The game was released for the PC in 2012 in Japan and Taiwan, and on December 13, 2012 for the Wii U and the PlayStation 3 in Japan. The game has been released in Japanese and Traditional Chinese. Additional scenarios can be unlocked throughout the game. Thx admin, love u!!! Btw, is there any chances u might find special edition for ROTK 12? 1. Download using a torrent client (like utorrent, qbittorent, etc). 2. Extract the installer (the .exe file from the .zip file), if your having trouble with this download and use 7zip. 3. Run the installer (the .exe file), follow the instructions within the installer. Enter password when asked (its lime1911). 4. Make sure there isn’t a check mark in run now or play now (or whatever it is) after installer finishes, there is a bug that I missed in that script, just launch the game from the desktop or start menu shortcut. Go to C:\Program Files (x86)\TecmoKoei\San12\san12launcher.exe and click on the 5th option/button (third last) to access settings. Just to clear things up, this is english patched yes, but no its not fully english and neither is there a full english version out there, believe me Ive checked, and neither is there anyone working on one, there were some people working on a few but they all stopped. This is the closest you will get to full english as it features multiple different english patches all up to date. It’s so hard to understand, because all the conversation use chinnese.